It's Harvest season, and I refuse to add tares into the harvest the Lord has spoken for me to sow and reap! 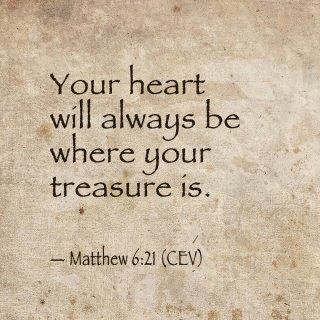 I refuse to hold onto the things that are keeping me from getting closer to Him and closer to who He created me to be. I refuse to hold onto any thing that is unhealthy in my spiritual life and relationship with my Lord Jesus! I understand that your immaturity, pain, hurt, brokenness, ego, pride, unhealthiness and your fears control you. I understand you are in an unhealthy relationship with yourself, so that is all you have to offer others. From the depth of my Soul,Heart and Spirit, I Speak a Blessing from Heaven on them all, In the name of Jesus, So Be It! All of that is way too much to be a slave to, way too much darkness. I know that I am Already whole, the cross is my testimony-it's all the proof I need, revelation is mine, my Faith will always out last the odds, and since my knee will bow to something, it might as well be His Truth. I seek His Kingdom again on this New Day the Lord has made for me. He has abundantly given to me, not as the world gives to me, but as Only He can give! All that He asks is that I receive All that He has given! And to receive His Power, His Gifts I must make Room for them all! If I am full of self, I will have no room for Him and All He Gives! He desires me to be emptied of self and to desire Him. And there is where you will find me, closer to Him, full of Him, being Healed and Delivered by Him, Being carried by Him, Being used to build His Kingdom here on earth as it is in Heaven. Another day to be grateful and thankful for what He's already done for me, to me and through me. Another day to share all I have been given from Him. Another day to Love and be Loved!